If you visit us along Seppeltsfield Road during the months of March, April and May, you won’t be disappointed. The Autumn leaves in our world-famous South Australian wine region are a sight to behold, particularly against the striking green of the giant palms that line the 10km stretch of Seppeltsfield Road. Tinged with gold in early March, the freshly harvested vines become a riot of colour by mid-late season, creating a photographic opportunity around every bend. And the sunsets are so often absolutely spectacular. Autumn also creates a blend of mild to warm temperatures and sunny days, just perfect for exploring. Here are just 10 things that will make your Autumn visit to Seppeltsfield Road memorable. While Adelaide reaches fever pitch in the first month of Autumn, there’s no better reason to escape it all and soak in the peace and tranquillity of Seppeltsfield Road. 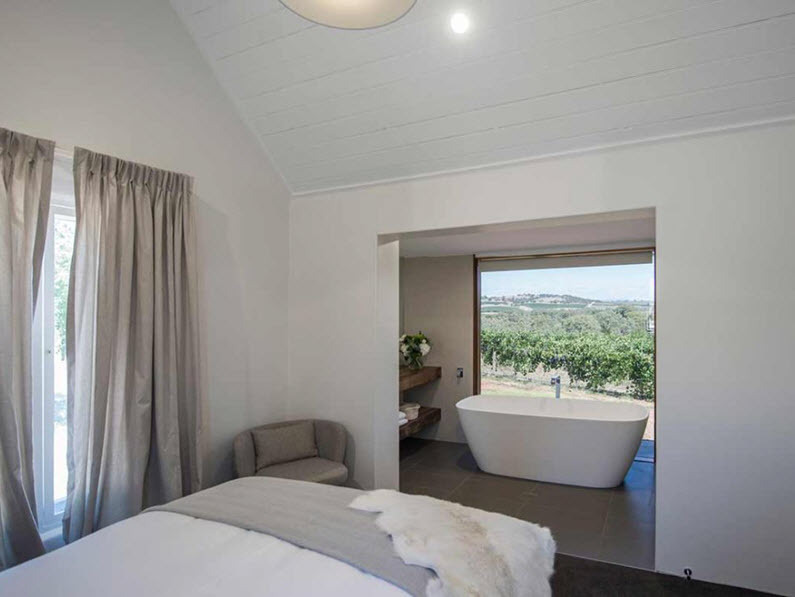 At the luxury self-contained Cambourne Boutique Accommodation, you will feel your worries melt away as you gaze upon the famed Western Ridge of the Barossa Valley while you soak in the tub! Of course, we also highly recommend having a glass of one of Hentley Farm’s finest drops in your hand as you do so, seeing as your host Andrew is also their award-winning chief winemaker. You’ll feel incredibly refreshed, waking up slowly to the smell of fresh air and the quiet of your surrounds. This is a Seppeltsfield Road event not to be missed. On Wednesday 18 April, 2018, the talented Tscharke team will play host for a relaxed afternoon. Join them to celebrate the change of season, the Barossa vintage coming to an end for another year and take the chance to reconnect and reminisce. 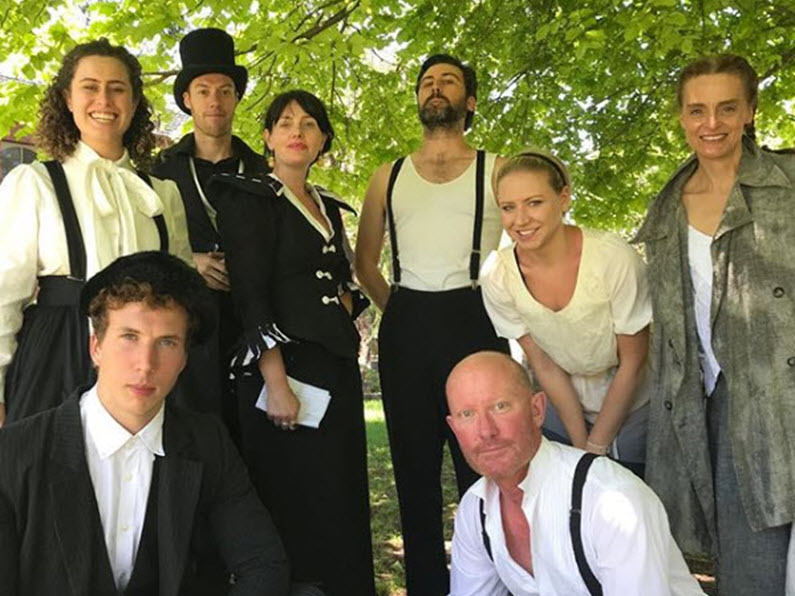 You will love the stories they have to tell and for an added twist this year; the Whyte Yarcowie Vaudeville Troupe will be performing a comedy skit or two. Tempt your taste buds with delicious Portuguese fare and the perfect wines to match. Just make sure you block out your entire afternoon to savour the sights, sounds and tastes of the long table. Bookings essential – call (08) 8562 4922. When travelling in from the Sturt Highway to Seppeltsfield, stop and take a picture of the Great Terraced Vineyard – a massive expanse of Grenache plantings that follow the natural contours of the land and range from 60-80 years of age. This impressive vista turns golden in Autumn and makes an incredible photographic memory. Just make sure you stay outside of the vineyards though as walking or driving in the vineyards is trespassing. Also, it is imperative the Barossa and South Australia remain phylloxera free. In Australia we celebrate Mother’s Day on the second Sunday in May and Seppeltsfield Road is the ideal destination to show your Mum how much you love her this Mother’s Day on Sunday 13 May, 2018. Why not treat her to a weekend package of absolute luxury, staying at The Louise. Here, every suite is an intimate hideaway, designed to cocoon and pamper and is surrounded by gorgeous vineyard landscapes. Continue to spoil Mum with a decadent dining experience at their world-class restaurant Appellation. 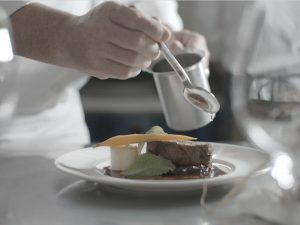 Chef Ryan Edwards is passionate about creating a fine-dining experience from local, seasonal ingredients, with almost the entire menu created from the Barossa Valley and South Australia. 5. PLAY – Live music on Seppeltsfield Road every week! If you are looking for something out of the ordinary to do during your Autumn stay at Seppeltsfield Road, why not enjoy a unique musical experience courtesy of the Marananga Brass Band. Brass bands are an important part of the Barossa Valley’s heritage and the Marananga Brass Band has been delighting listeners for almost a century, having been formed in 1925. The band currently features 25 local, passionate musicians, and they welcome visitors to their practice each Tuesday at 8pm. You’ll be tapping your toes as they fill their band hall with the beautiful, warm sound that only a brass band can create. How lovely does it sound to relax and taste your way through the Barossa and South Australia in the historic estate grounds of Seppeltsfield on the comfort of a picnic rug? That is exactly what you can do at Benno’s Picnic Grounds by purchasing a ‘Benno’s Basket’ for two or four people. Order ahead and simply arrive, collect and enjoy. Carefully curated to ensure you sample authentic regional foods from South Australia and the Barossa, ‘Benno’s Basket’ includes wood fired oven bread, small goods, cheeses and condiments and even comes complete with all crockery and cutlery requirements! Also servicing the picnic grounds is Benno’s Kiosk, where you can pair your picnic fare with a range of Seppeltsfield wine, as well as local beer and cider selections. BBQ facilities are available for hire if you’ve collected your own range of Barossa goodies and would love to do the cooking for yourself. For those craving a hands-on culinary experience in the Barossa, why not book in for Cooking School at The Farm Eatery with Chef Tim Bourke. In March you can learn BBQ & Smoking Techniques, or discover the simple yet delicate process behind making Breads & Doughs. 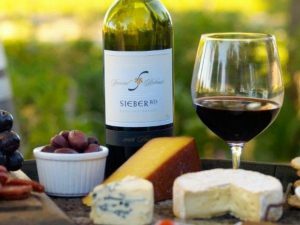 Of course, you’ll enjoy a meal of what is created with a glass or two of Barossa cheer! Time for a girls’ weekend? The Adelaide Cup Day Long Weekend creates the perfect excuse for a fun getaway with friends in the beautiful Barossa. 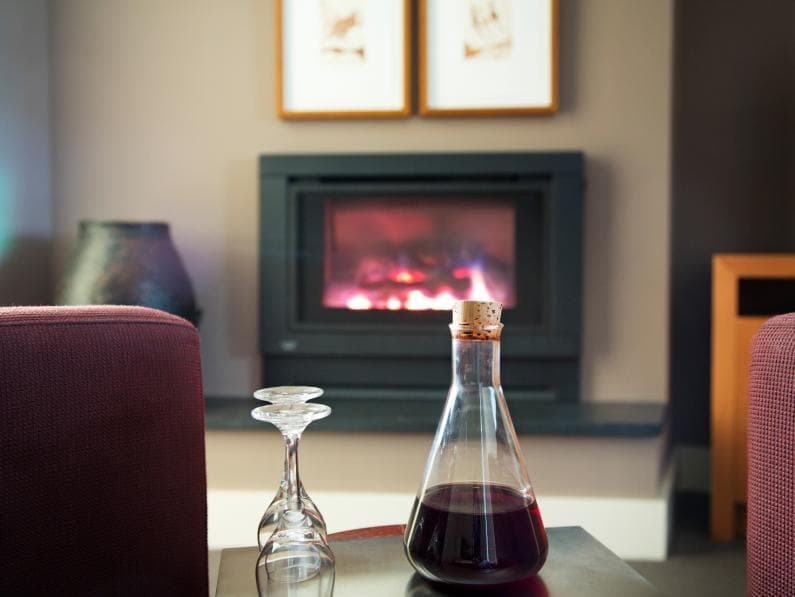 Self-contained luxury accommodation at The Reserve is nestled into 43 acres of prime Shiraz and Riesling vines. Sleeping up to 10 people, it’s the perfect place to soak up all that Seppeltsfield Road has to offer. 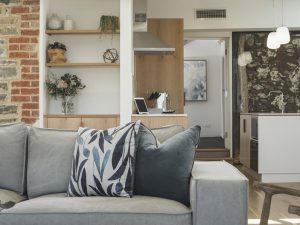 Or, if you are keen to spend the weekend with your family, Seppelts View Cabins is home to 6 spa cabins with log fires nestled amongst eight acres of beautiful gum trees and pine forest. It makes the perfect place to entertain the kids – they can meet the resident friendly animals Zack, Salton, Rambo, and many more. 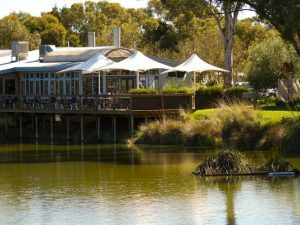 Then it is only a short walk to the popular Seppeltsfield Winery and Fino restaurant. 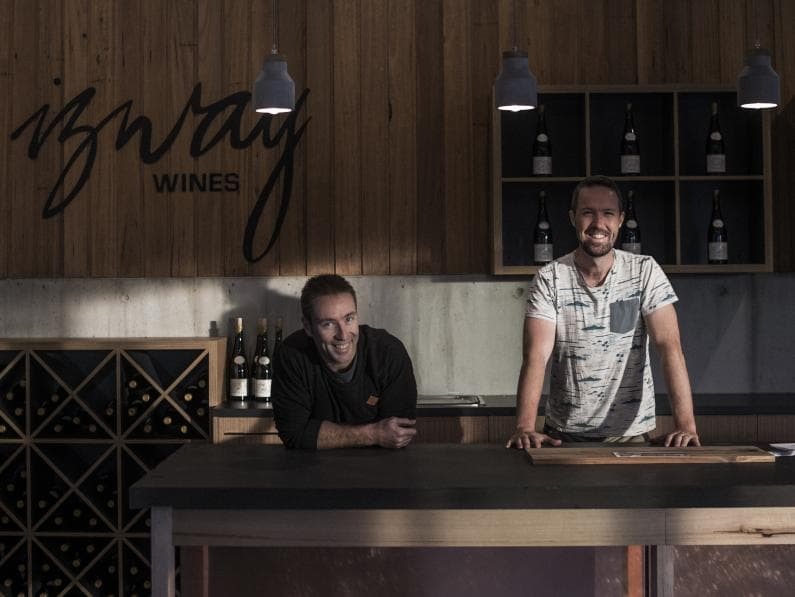 If you are interested in small batch boutique wines, then a visit to Izway Wines is a must. Not only can you soak up their vineyard views while enjoying a glass of wine, you can also chat directly to the winemakers about their passion for organic growing principles and how they have successfully created one of the first ‘off the grid’ wineries in Australia. What will make your Autumn visit even more special is that this boutique winery becomes interactive during harvest – the winemakers invite you to experience their wine making processes first-hand! We have it on good authority that the Easter Bunny does visit Seppeltsfield Road, in case you would like to escape the rat race over the Easter Weekend this April. For those looking to participate in an Easter Service, the congregation of the gorgeous 150-year old Gnadenfrei St Michael’s Lutheran Church will welcome you. TIP: Lastly, a tip from the locals…with the grape harvest finishing in early Autumn, drivers beware! You can find yourself driving behind a slow-moving harvester or two. But take it as a great opportunity to soak up the scenery, or just stop and take a snap of the impressive views! Do not forget to tag us on Instagram with #seppeltsfieldroad. We love seeing what you have enjoyed during your time on Seppeltsfield Road. Stay in touch with everything that's happening along Seppeltsfield Road including upcoming events and early bird tickets for the annual Shakespeare in the Vines.